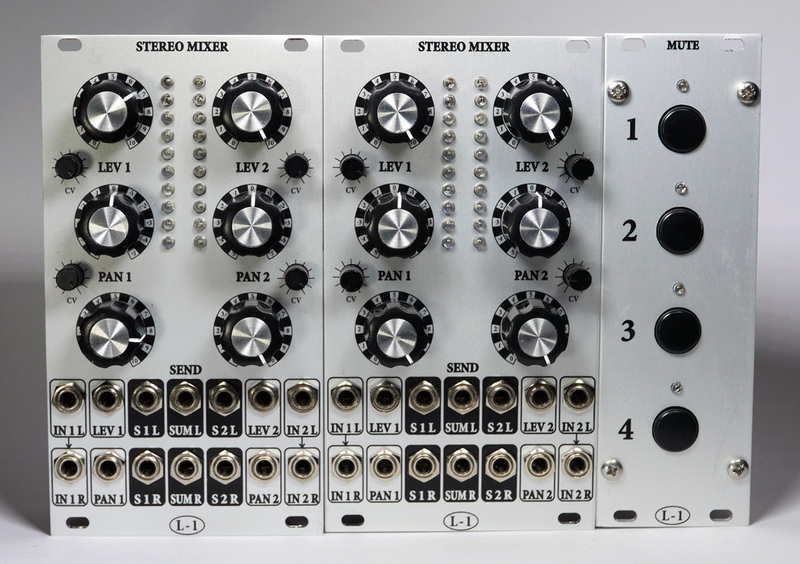 I made new stereo mixers to mix my system properly. Please tell me the unity stereo mixer can be used with my original stereo mixer? Yes, it is connected at the first photo. Can be augmented by the unity stereo mixer? This looks super useful! I have a lot of stereo sources and mixing them down is a pain. 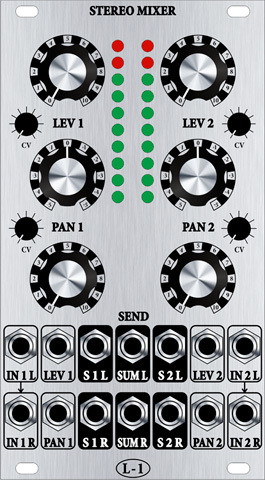 For the unity mixer, are the Left inputs normalled to the Right inputs for occasional mono sources? No. 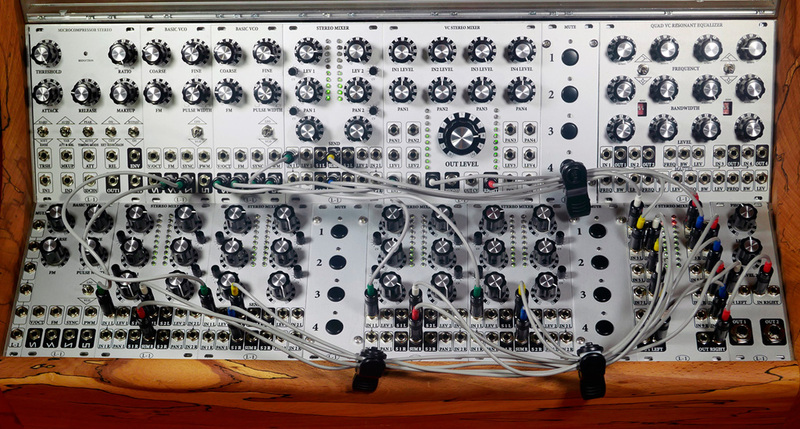 The Unity mixer is planned as mixing node and required input modules like this Two Channel Stereo Mixer, it has normalled inputs for mono sources. - what kind of clips do you use in the first picture to bundle your leads? - are the cables custom made? - how did you do that colour coding? i'd like to adapt that solution. 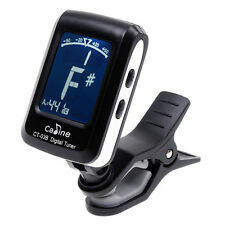 - Thse clips left from tuners. 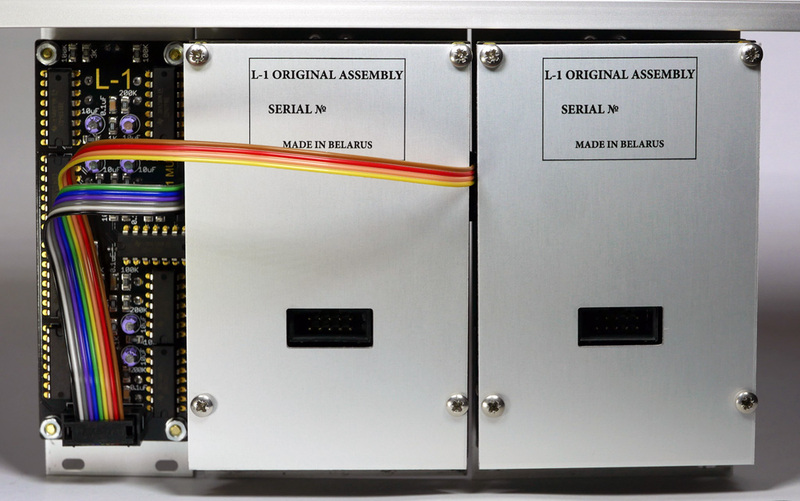 - yes, the cables made by L-1. I cutted some audio cables with RCA plugs to have this nice thin grey cable. Color coding is made with shrink tubes. - also separate left and right inputs. What would be the best way to use the 2 Channel Stereo Mixer as a stereo send/return effects? I have two stereo signals that I'd like to mix together and control the send per stereo channel. Also, is there way to achieve PFL like functionality with the Phones module? 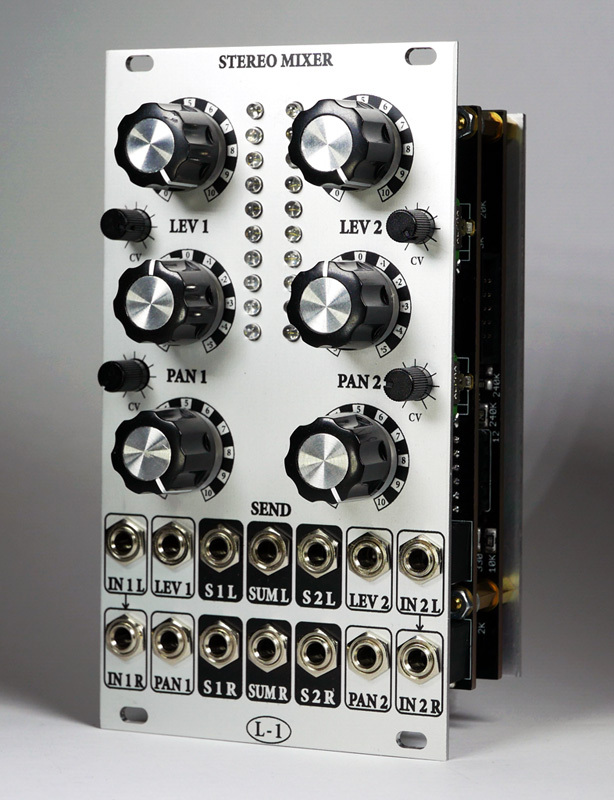 Yes, it's possible - stereo send/return. You can feed your stereo signal into Phones module from any point of your patch. There are multiples for using a signal further. Where can one get the A50K Dual gang pots for the 2 Channel Stereo Mixer? (Part number P1, P2 - SEND1, SEND2). Smallbear, Tayda, Thonk, etc don't have them. You late. Thonk had them. I hope they will make new stock. When you will be ready to order kit, write me, I will try to find a couple for you. (EDIT) Thonk has dual 50K linear. They will fit ok. 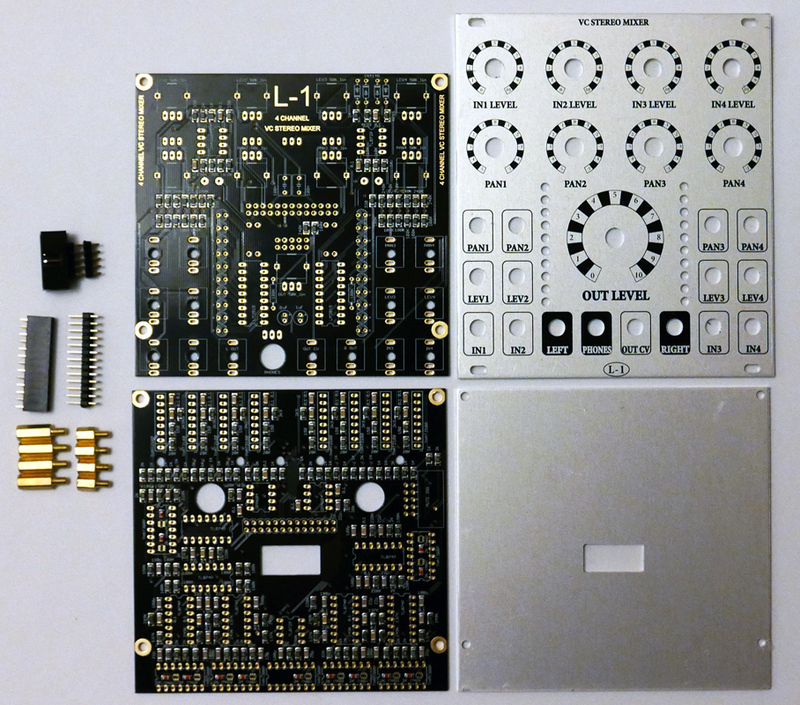 Does the pcb come with all SMD parts already on the board? It seems to be the case from the pics in the OP. 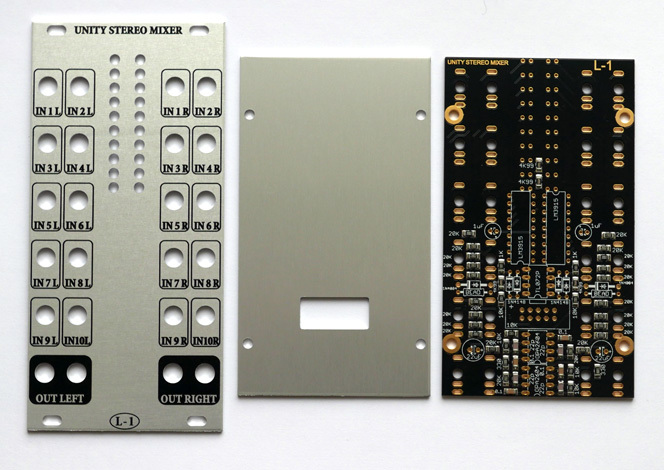 Yes, SMD parts are already on the board. 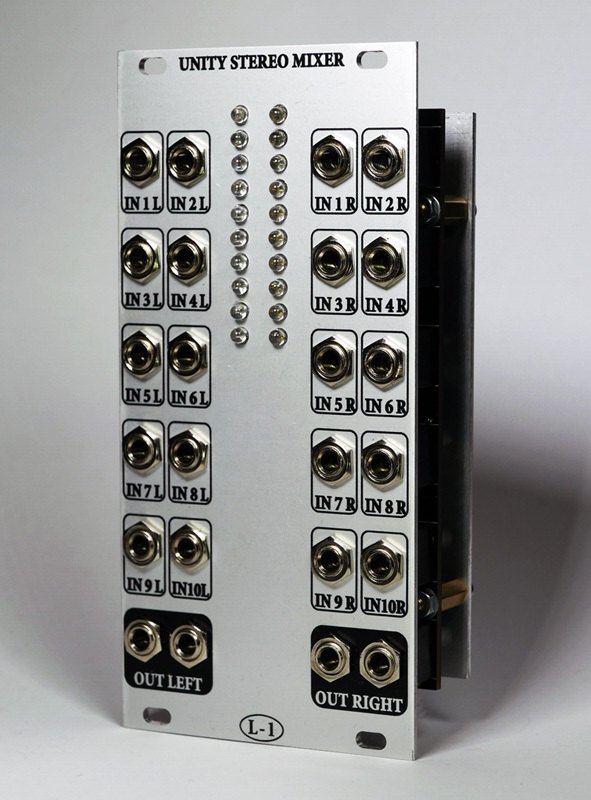 Got another question about the Stereo Unity Mixer for you, L-1. Two outputs are just multiples. I planed for example one out for speakers , another for recording.